DID MAN REALLY GO TO THE MOON? Interlocutor: There are certain authors who claim that the man never went to the Moon, and they exhibit pictures of the moon landing that I have seen personally on the Internet, where one can see some strange things clearly, for example shades that should not be there had the man had truly arrived to the satellite. Johnakan Ur-El: From now on, I ratify it expressly that the man did not arrive to the Moon on the date they say, but the astronauts have seen extraterrestrial beings and they have seen their ships. Interlocutor: Then. What is the reason of those apparent mistakes in the pictures? Johnakan Ur-El: In all the places, even inside NASA, there are fanatic people who are against of man exploring space. What do they do then? Well, the same thing that the entities of Error do, they transmit truths mixed with falsehoods so that the lies be accepted more easily. Johnakan Ur-El: The pictures were edited, anyone, due to the coarse edition, would realize the deceit. But what would it happen if they put, for example, from ten pictures, two false alongside the other eight true pictures? Automatically one will correlate and exclaim: Oh, there is an error here, and then all the pictures are false, so the man never arrived to the Moon on that date! Do you understand? Johnakan Ur-El: Good that is what they have done, the moon landing was staged, the technology was not enough to carry on that endeavor, not to mention the risks of radiation from the Van Allen belts. Interlocutor: What I don't understand well is the reason they carried out something like that. Is it a joke perhaps? Johnakan Ur-El: No, it is not related to a joke. What happens is that there are organisms that try to confuse, annulling the space trips. They are fundamentalist who belong to ramifications of certain religions, even the Catholic church, they sustain that the space trips are a work of Satan and not from God. They had to do it also because the risk was so high, the money spent on the project enourmous and the astronauts could have died in the process and they knew they could not afford a huge public embarrassment again, which could have been very tragic. Interlocutor: But this people are dramatizing engrams that dictate them that aberrant behavior! Johnakan Ur-El: Correct. Don't forget what I have already said that religion, definitely, is no more than an engramic implant. Interlocutor: Moving on to our Moon, Gurdieff spoke that the moon was a planet in formation. I personally don't believe it. It is also said that there was a civilization there in remote times. What is the truth about this? Ruanel: It has been said that thousands of years ago, the Moon had a small atmosphere that allowed life, and in a given moment the selenites had war with the civilization of Atlantis and both of them were destroyed. Ruanel: No, absolutely not, because Atlantis became extinct for other reasons and not because of a war against alleged selenites. Interlocutor: Did Atlantis become extinct due to nuclear tests that got away from their hands? Ruanel: No. The people of Atlantis were working with solid light and a malfunction in their facilities provoked an imbalance that destroyed the island. Interlocutor: Is it an entire fallacy, then, the lunar civilization? Interlocutor: What happened to the Moon then? Ruanel: The Moon is not a natural satellite of Earth and in a certain moment it was considered it a double planet, because it is the only satellite of the solar system that has a very big size compared to the Earth. Notice that the other satellites of the other planets are very tiny compared to the satellite of the Earth. 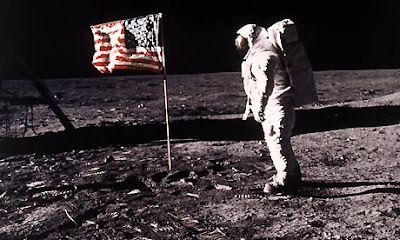 Interlocutor: Then there was never a civilization on the Moon? Ruanel: No, not Lunar Civilization. There has been, and there are establishments and extraterrestrial bases, generally on the dark side of the Moon. Interlocutor: It is clear. What is the real function of the moon? Ruanel: To the Earth it helps to regulate the tides, for the plants, etc. Interlocutor: Without detriment that in the future it could shelter an entire civilization? Ruanel: Correct. Notice that the Moon is as big as the ninth and the tenth planet. Interlocutor: I find strange that the aliens didn’t develop some civilization there. Ruanel: But there are extraterrestrial bases on the Moon! Interlocutor: Well, I meant in fact to a civilization of certain permanency, because the bases or establishments give the sensation of temporality. What about the idea of Gurdieff that the Moon would end up being as the Earth? Ruanel: There is nothing like that. Interlocutor: Is there something else about it that could be interesting on the Moon? Ruanel: No, the main thing has been said. This entry was posted at Monday, July 20, 2009 and is filed under History . You can follow any responses to this entry through the .